Tuesday, Mar. 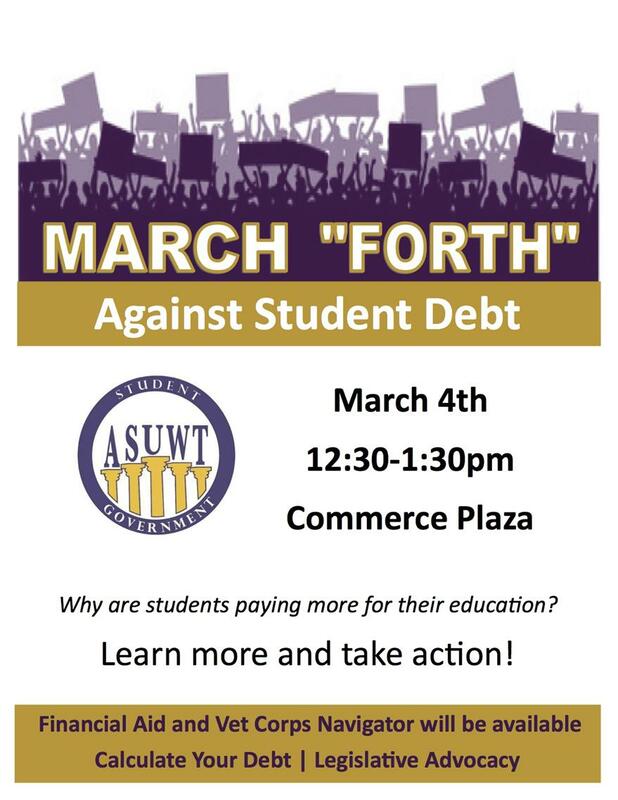 4, 2014, 12:30 – 1:30 p.m.
March Forth Against Student Debt is an engaging program that is apart of the ASUWT LAC Education Campaign in conjunction with being a statewide day of action for the Washington Student Association. We will be educating students on why they have debt due to higher education, how they can find out how much debt they have, get increased access to financial resources and be civically active. We hope you can join us!